You may be reading this and thinking "what a load of rubbish, hypnosis is not that good", this guy is just another one of the positive thinking brigade. But, wait around for a minute or three because this is worth hearing trust me on that one. There are very valid reasons why hypnosis is so good to help get rid of anxiety and yes I did say get rid of anxiety. If you suffer with it you must want to be rid of it, I assume, so please read on. Everyone I have ever met including myself has experienced some level of anxiety and that is normal. But, when it is out of control and taking over your life that's problem anxiety that needs to be dealt with. Stress and some level of anxiety can and do shift us into action because it is normal for us to have a degree of uncertainty to grow and flourish. Perhaps if you have too much and are reading this you may disagree because of its effects on you or on a loved one. But please read on. Why is hypnosis a good approach to use as an intervention? Firstly let me just say these are only my own opinions so I do request you don't get offended by them. As a result, you may get a better objective of what I am suggesting to you here as a better option for you to make changes that work. Counselling for some people regurgitates the past. They find it goes round and round in circles and therefore isn't an effective use of their time. Hypnosis is comfortable, relaxing and helps you tap into learned resources you have stored so that you can use them whilst in hypnosis, and way after the session is concluded away from the therapy room. Relaxation may be a common myth about what hypnosis is about which has to be challenged here. Relaxation is only a way to help you enter into a state of change where you are quite possibly malleable enough to change your unconscious drivers using hypnosis. I will say this and stand by it as my own concept here. You do not have a conscious problem but an unconscious problem. Firstly, hypnosis really helps you to get out of your own way where you don't argue with yourself like counselling. Secondly, it helps you generate new ideas and meanings of stuck concepts which in turn assist you to have new hope because they are your ideas. Ultimately, hypnosis helps you tap into who you are, who you have always been and who you have the possibility to become. So, who would you be without anxiety and why is that really important for you to make that happen as soon as possible? 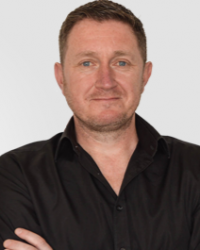 Mark is an unconscious change coach, hypnotist and NLP Master Practitioner who has helped many people. He is from Paisley near Glasgow in Scotland.